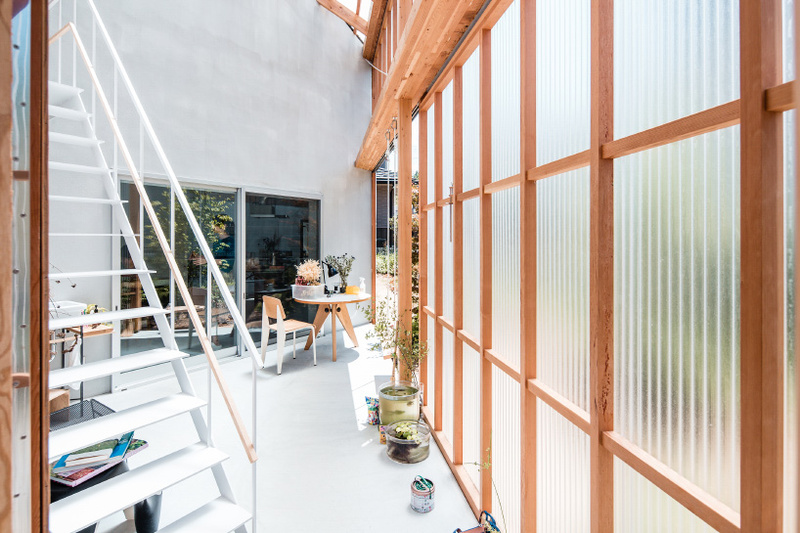 tato architects, led by yo shimada, has completed a house in japan’s kyoto prefecture that features an entire façade made from polycarbonate panels. 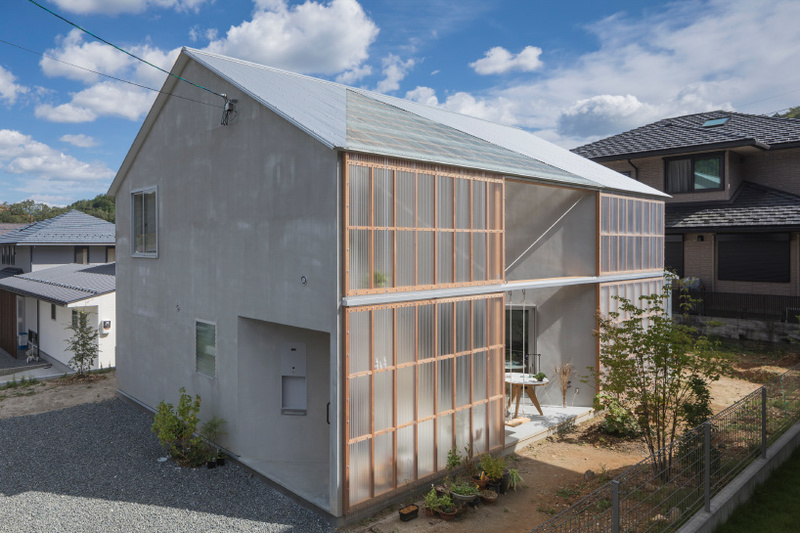 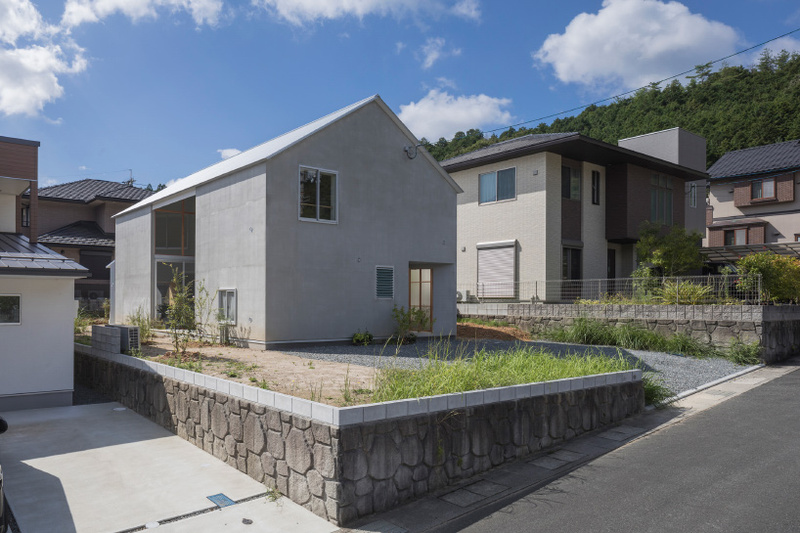 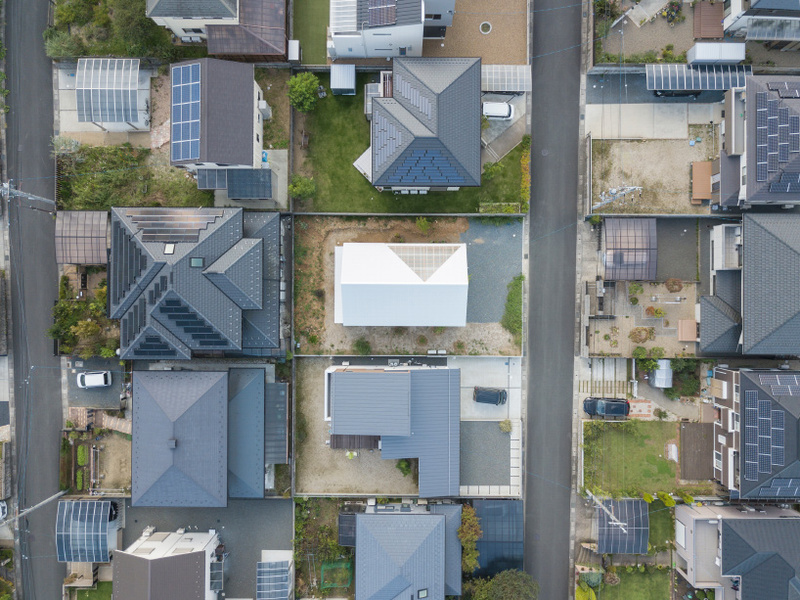 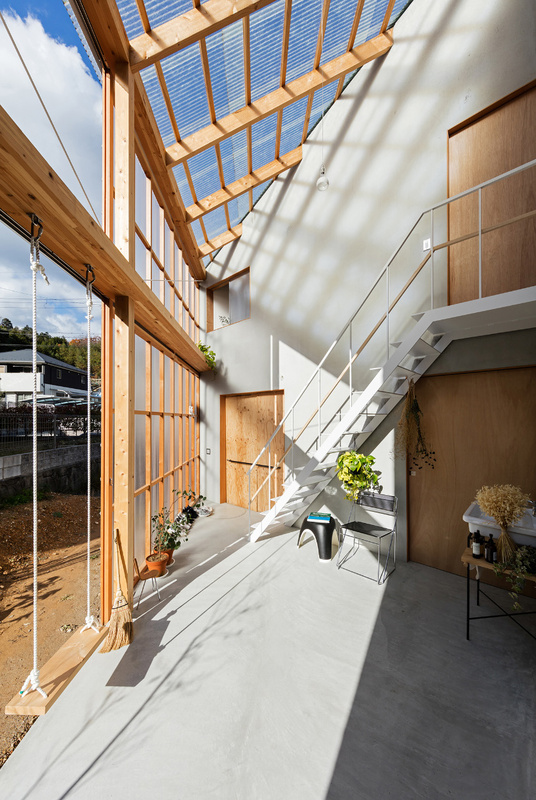 located in the small city of nantan, ‘house in sonobe’ forms part of a new residential district and is surrounded on all sides by other dwellings. 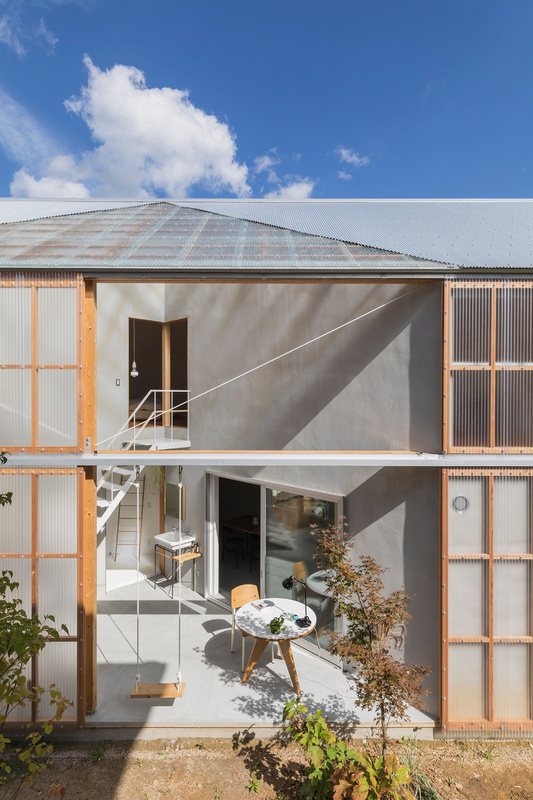 noting that many of the adjacent homes have created sunrooms by using corrugated polycarbonate panels to enclose part of the property, the design team looked to further develop this unexpected typology. 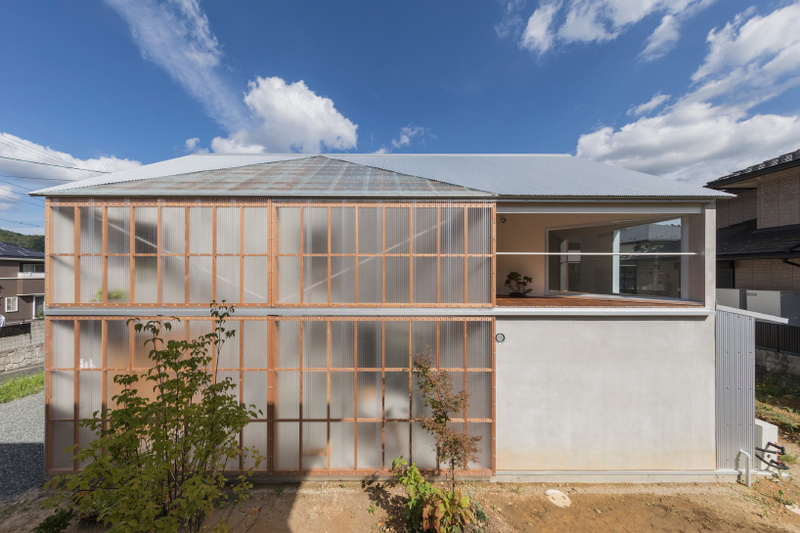 when closed, the polycarbonate façade allows light to filter inside the home while offering a degree of privacy. 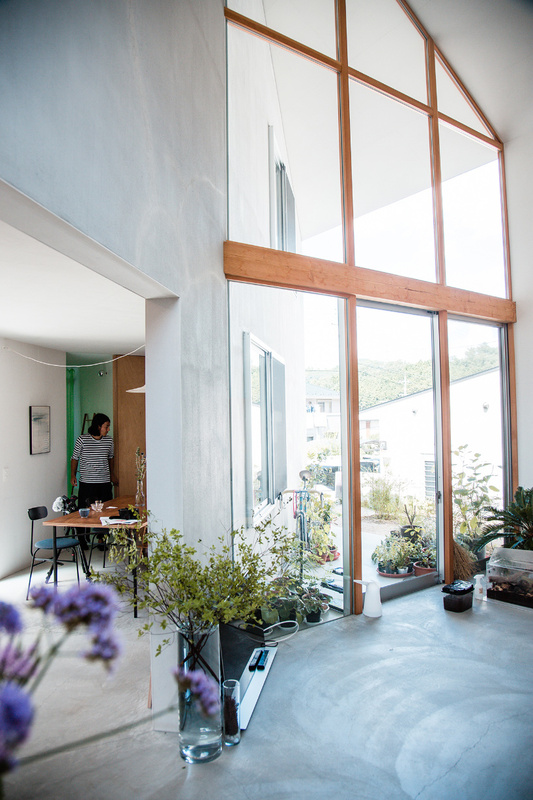 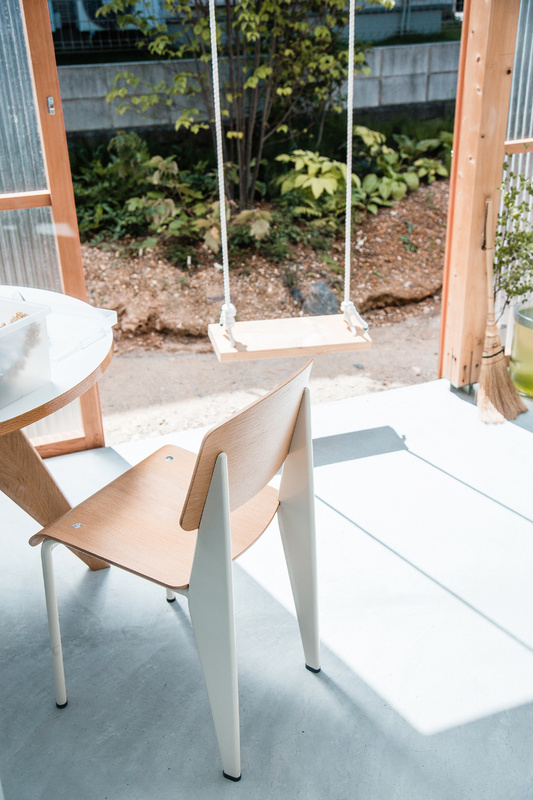 opening the sunroom’s large sliding door blurs the boundary between internal and external space, turning the internal courtyard into an outdoor patio. 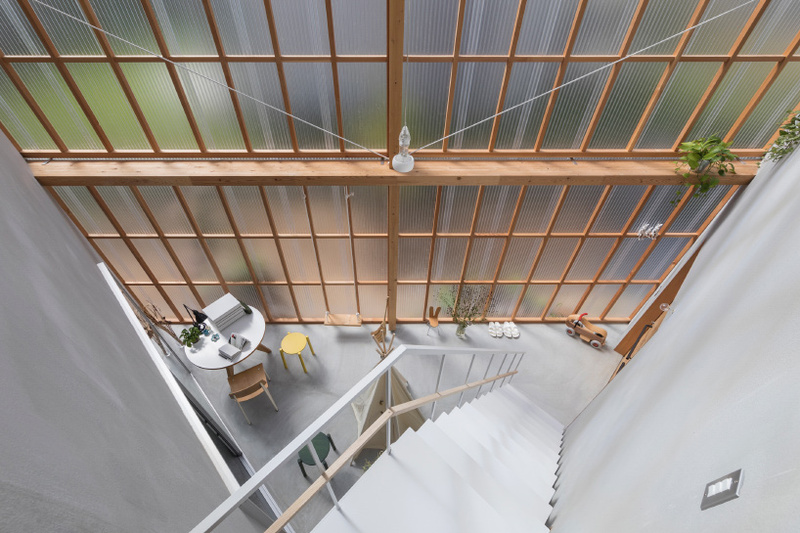 ‘regarding the volume of the house, we used a simple square grid and its diagonals to create the different spaces such as one that is intimately sized, and another containing a spacious void,’ yo shimada continues. 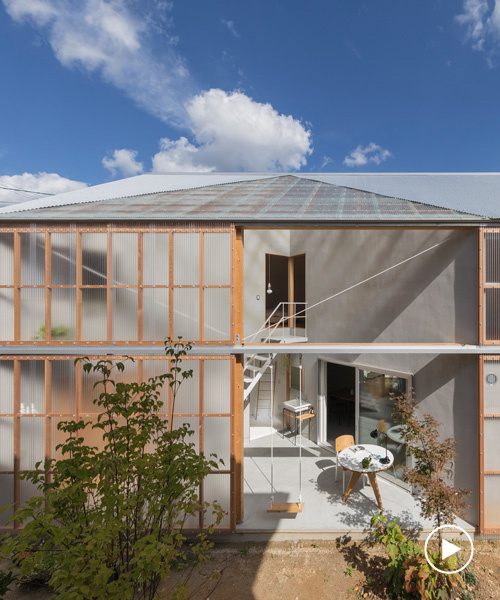 ‘to each of these, we attached semi-outdoor spaces.’ for a full tour of the house, be sure to check out the 360° video at the top of this page.